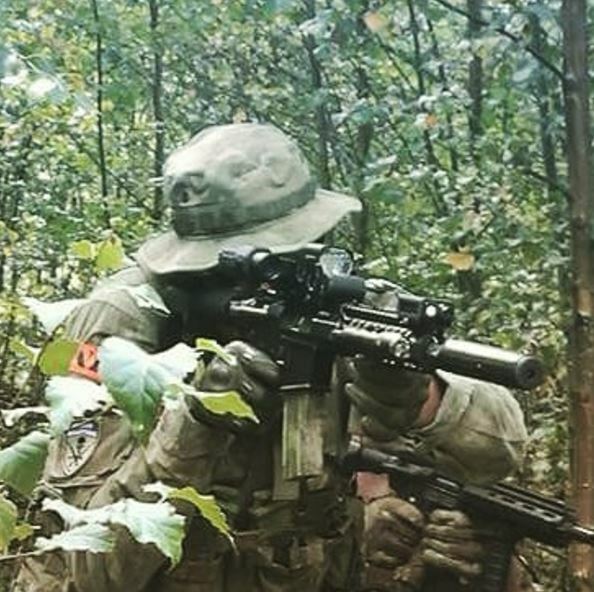 Below our short debrief of Dockwoods last weekend. Members present: FP01, FP04, FP06, FP12, FP14. The event was organised by Crimi Events, the same organisation that runs the Chambers. It had been a while since I last played at Dockwoods. If I recall correctly, it used to be called tigerwoords. The area consists of a densely packed forest are with some trenches and bunkers present on the field. The way I remember it, there didn’t use to be quite so much low vegetation. The first half of the day was chaotic. Team blue missed their instructions and left the half of the field they had to defend. Our team got instructed to attack a bunch of points on the field. However due to the very thick vegetation it was nearly impossible to mount any decent offensive action. There was no room for manoeuvring our outflanking movement. After half an hour, everyone was dug in halfway the field and save for some back and forth firing, not much happened. Luckily, the second half of the day was better. Now both sides had to go on the offensive. Our team had to put poker chips in red boxes. A few of these where placed strategically on the field. Our team also had to guard the main “American” compound. Team blue’s mission was to enter the compound and fill up a barrel with some liquid they had to move from their base. Once the game started, our team split up in 2 segments. We took part on the top side of the map. We quickly moved around the main area, working our way through a field on the side and ending up squarely behind the enemy team. Surprise! Team blue got every confused by the movement, and their line fell back from the middle of the map to a good 150 meter in front of their spawn. This allowed team red to drop of the first batch of poker chips. We soon went back for a second and third drop, and in no time completed our objectives. Meanwhile the second part of team red had maintained control of the American base. We joined in on the defensive, but soon it became clear blue was not making progress anymore. We decided to go on the offensive and started hunting down the rest of their team. All in all a good day, but the woodland area is a bit too thick and hard to manoeuvre. My personal preference still goes to “The Dark Forest” or “The Canyon” for woodland area’s.